What could be better for a self-confessed of musical theatre and a strange, if slightly-obsessive Proms fan * but an evening of excerpts from a variety of different stage works sung by UK musical theatre chieftan Michael Ball? Here’s what could have been better. 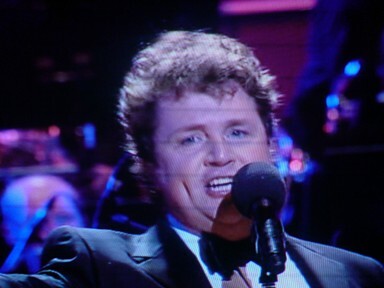 A concert performance of one entire stage show (preferrably something by Sondheim – say Into the Woods) with a varied cast and absolutely no anecdotes from Michael Ball. Last night’s Prom was a frightfully disappointing affair. Enough said. Let’s move on. Let’s not dwell. * Who obviously only ever listens on the radio or watches on TV. as for the anecdotes if he hadn’t he’d have been critisied for that so he couldn’t win. The whole audience was on it’s feet cheering and clapping at the end.